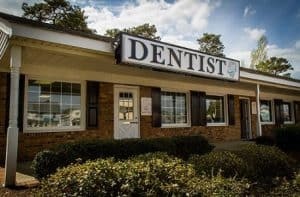 We are conveniently located in the north great neck area of Virginia Beach. Our Dental office is quaint and personable. We see children and adults and want to provide the best care for you. We file for almost all dental insurances and are in network with the major dental insurances. Don’t worry about insurance because we will file and process your insurance claims and answer all your questions. Check out the ways Partners In Dental Health makes your dental health an affordable experience. We strive to provide a comfortable friendly atmosphere. Our goal is to provide the same care we would our family members. There is nothing more important than your comfort and confidence. Dr Kevin Leong is an expert at Cosmetic dentistry, finding a natural approach to create a beautiful smile. Learn how Dr Leong changes peoples lives by creating healthy smiles. Just ask our existing patients who have been scared to go to the dentist. We are here to help those in need.